I love my humble little home office. Don't get me wrong, I hate the carpet! There are a ton of things that I would change if I had time, energy and a plan. I think that a big part of the reason why I don't do anything about sprucing up my office is because I know that any room that is overflowing with yarn is already a winner. 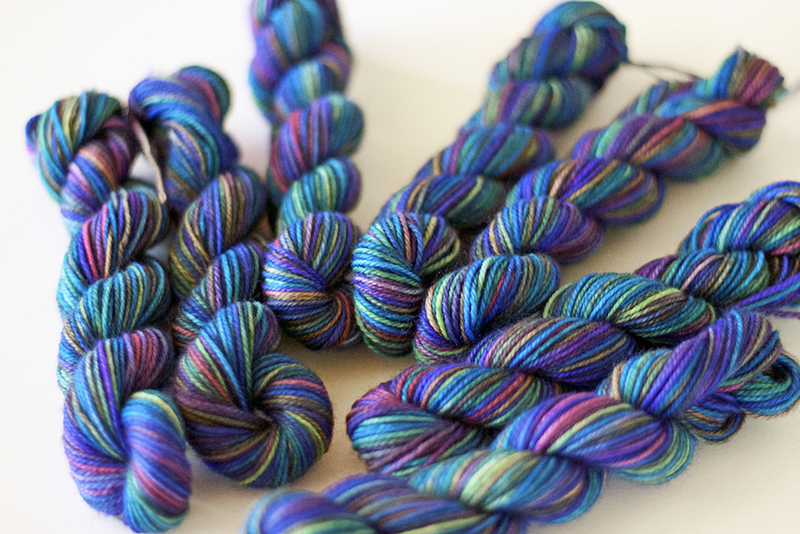 I've been toiling away winding mini skeins this week. Lots of work, but oh so photogenic!